Are you worried your pet may be sick? Read our guide to help decide when you should see a vet. In times of illness, your pet’s visit to our Adelaide vet will begin with a complete physical examination with an experienced veterinarian. Initially, the vet will read the patient file to familiarise his or herself with the previous observations and treatments. Then the vet will ask you about your pet’s current state of health and the details of your concerns. Next your pet will receive a gentle and complete physical examination with particular attention to the problem. Often the combination of the history and the physical together with the vet’s knowledge and experience will point to the problem and its solution. If the diagnosis is not certain at this point, further testing will be recommended by the vet in order to get a thorough understanding prior to any treatments. Most of the time, the solution is clear enough that treatment can be started at the time of consultation. 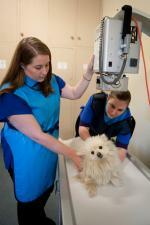 What you need to do to get your pet ready for surgery. How to help pets recover after an operation. We have a purpose-built operating theatre which we use on a daily basis for surgical procedures. Our trained staff and the range of equipment at our disposal make us able to perform most surgical procedures, including fracture repair or abdominal surgery. Every surgical operation is performed using a fresh sterilised instrument pack used for only that patient. Intravenous fluid support and pain relief is standard. We are very proud of our anaesthetics, and take a careful and thorough approach to each individual. Read all about safe pet anaesthetics here. Please ask us to show you our facilities before you book in your pet. 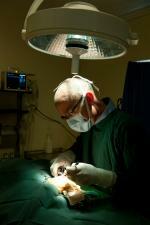 Read more about anaesthetic safety in dogs and cats here. Should you notice changes in your pet’s mouth or breath, we’re here to help. 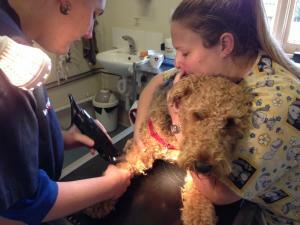 Read all about dentistry for dogs and cats here. 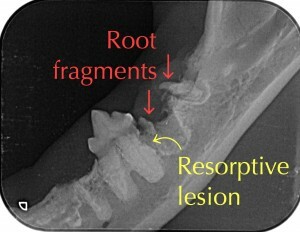 Dental xrays are invaluable to diagnose problems like those pictured and are used when necessary for a modest extra cost. After dental work, owners regularly comment on how much better their pets are and how they thought it was just ‘old age’ making their pet unwell. Radiographs (xrays) are the most commonly used form of ‘diagnostic imaging’ in veterinary practice, giving us a ‘window’ into the body. They provide information on problems affecting the bones and joints, but also on those affecting the organs in the chest and abdomen. Our high frequency X-ray generator and full digital X-ray processing give us high quality images at a moment’s notice. 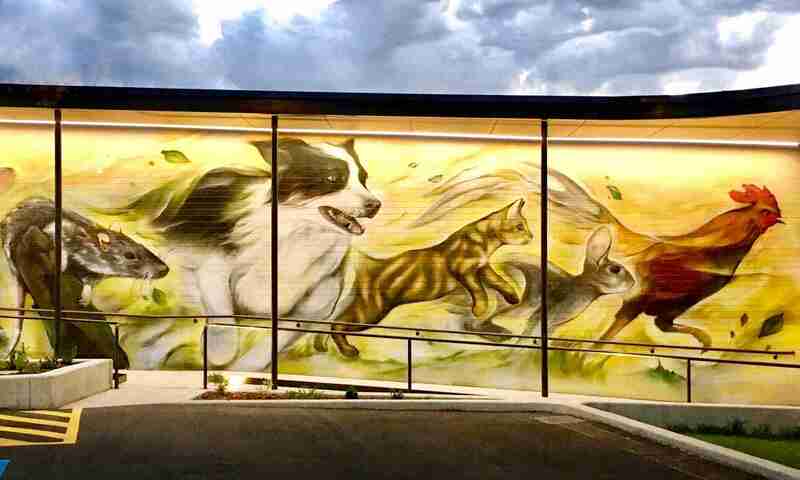 These can then be shared electronically with the client, or other Adelaide veterinary clinics, and stored on the patient’s electronic records. 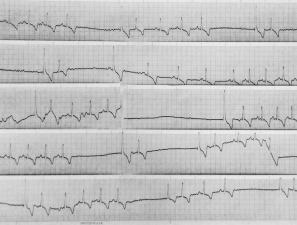 Diagnostic ultrasound is a powerful tool for diagnosing all manner of difficult cases. Our vet Dr Andrew Spanner is trained in ultrasound techniques and has access to a state-of-the-art veterinary ultrasound machine. 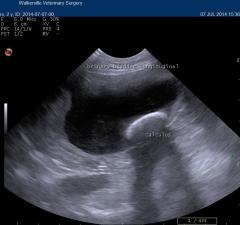 Read more here about veterinary ultrasound. For conditions of the upper gastrointestinal tract, especially foreign body obstruction of the oesophagus, endoscopy remains invaluable. Our endoscope enables us to identify and retrieve objects from the oesophagus and stomach and to visualise the internal lining of these organs when damage is suspected. Hypertension is a leading cause of blindness and organ damage in middle aged to elderly cats. Our vets use a blood pressure measuring system involving Doppler blood flow detection to accurately monitor this condition. Under anaesthesia, our patients’ blood pressure is continuously monitored via multiparameter anaesthetic monitor along with pulse oximetry, core body temperature and ECG. We maintain a small laboratory for testing blood, urine and other samples. Our blood testing machine, manufactured by IDEXX, allows us to monitor many biochemical values such as liver and kidney function. This is especially useful prior to anaesthesia or for rapid analysis in emergency situations. When time allows, we always prefer to send samples to an external laboratory for more comprehensive analysis. View an example of test results and read why we do blood testing here. The least pleasant part of our jobs is also one of the most important to get right. To help put pet owners’ minds at rest in this difficult time, we have written a guide to euthanasia.